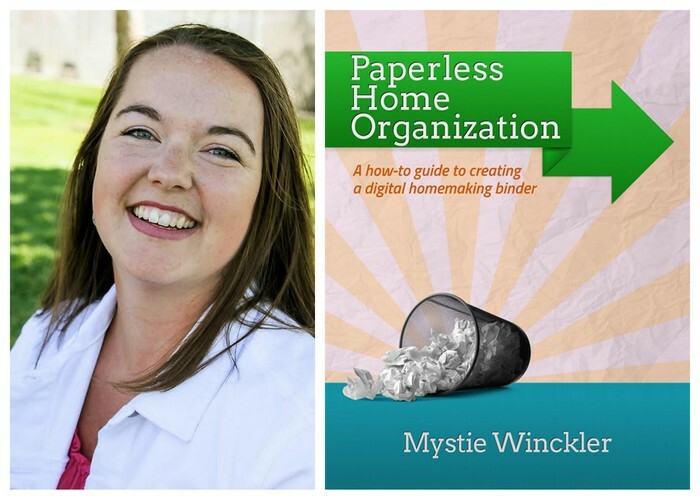 Today’s giveaway is from Mystie, author of Paperless Home Organization. Mystie is a homeschooled homeschooler, married to her high school sweetheart, educating their five children ages ten and under. She writes at Simply Convivial and Simplified Organization about homemaking, homeschooling, and managing a home and family well. You can also find Mystie on Pinterest and Twitter. 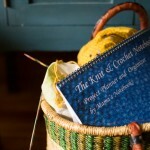 Today she is sharing a little about herself and her desire to help you get organized! I love reading, writing, and list-making, especially when I can take big ideas and grand visions and make them practicable in real life. 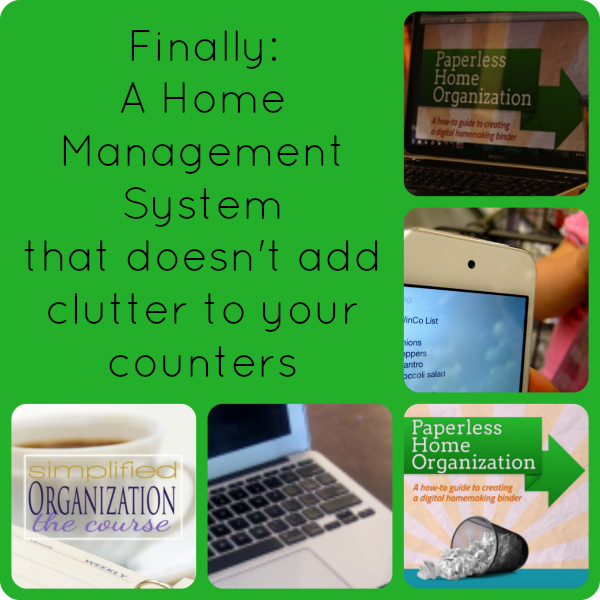 Born out of that desire and the desire to stop the paper-pile madness at my house, Paperless Home Organization walks you step by step, with helpful screenshots along the way, toward putting your gadgets to work for you so you can be organized and get rid of your paper clutter. 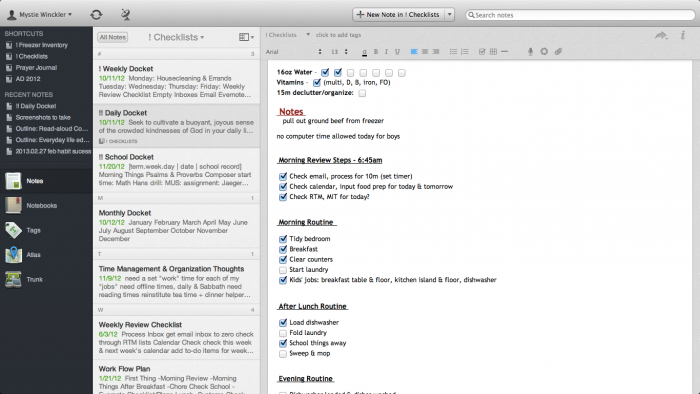 Paperless Home Organization will show you, in simple steps, how to put Google Calendar, Remember the Milk Task Manager, and Evernote to work for you as a mom at home. Additionally, you’ll get lots of great tips for managing your email inbox, keeping things synced, and learning solid organization habits along the way. 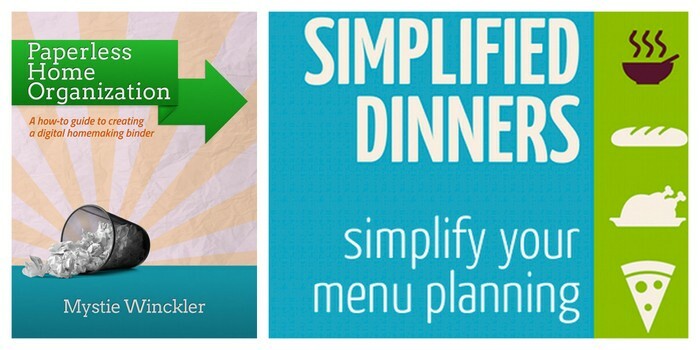 You’ll be amazed at how much helpful guidance is packed into this little ebook! At $4.99 in either pdf or kindle, it’s a bargain, especially since all the apps recommended are free and cross-platform compatible. It will work with whatever you’ve got, even if it’s only an iPod with wifi. 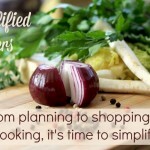 And if you’re really serious about getting organized and learning how to manage the details of your life the best you can, you’ll also want to check out the Simplified Organization Self-Paced eCourse. In an easy-to-navigate, bite-sized-steps format, you’ll receive not only productivity hacks and best practices, but also encouragement and perspective as you learn to start where you are, accept circumstances and interruptions, and grow in grace along the way. Your life is full, and everyone’s current season looks a little different. Everyone has unique circumstances and needs. The Simplified Organization course is self-paced, allowing you to work mindfully through each module at your own speed, giving yourself time to establish intentional habits as you go for lasting change and high impact. Living an intentional life is about blessing others, and we can do that better with some help and encouragement along the way. I would love to win this! I’ve been curious about each of Mystie’s products! This would be awesome for us! We desperately need to get organized and are drowning in paper! This sounds like something that would be very useful for me. Hope I’m not too late, I desperately need to be more organised! I need to be more organized! I may have missed the cut-off, but trying anyway! God bless, Michele F.
Would love to win this & get my life more organized! 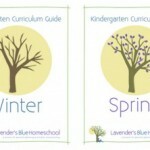 Would so love to win.its such a fantastic idea…I need paperless ! I’d like to try it! Please enter me! I struggle immensely with organization. I *want* to be organized, but I was never taught that in my family of origin. This would be a huge help! I’m always dismayed with the amount of paper I accumulate. This would be fabulous to help end some of that. This looks amazing! I have tried several different apps for different areas of organization (meals, to do list, etc) but love how this seems to include everything!! Looks great! I could really use some help with organization in my life! Ugh, always trying to tame the paper monster. Paperless is the way to go. I would love to learn how. Thanks for offering this!!! Sounds good to me as I’m trying to organize our house of 11 before school starts- I just keep pushing off our start date! This looks wonderful!! God bless and thanks for the opportunity! I’m such a Luddite, but saying goodbye to all the paper is intriguing … I’d love to win! Just what I could use! I am truly a paper person but would love to overcome the piles this creates! I’m drowning in paper. I could really use this. This sounds great! Thank you both! Super ideas at the perfect time of year. Perfect timing as the kiddos get back to school, I need to get more organized!! Fantastic! Who wouldn’t want to be more organized?! This sounds great! Thanks for the chance to win, and bookmarking if I don’t. Sounds great to me!! Thanks for the chance to win! Wow! Such great timing! We’re moving into our first home with two young children in just a few days. I am so overwhelmed with things to take care of and manage! I’d love to have access to a planning system like this. Paper is great for letters and books, but it can quickly pile up and those to do lists get lost in the shuffle. Goodness, do I EVER need this! You are clearly gifted in my greatest area if challenge! Oh! I so need this. Thank you for the giveaway! Would love some help organizing my home and family! Just what I need! Tu!